We often hear sudden death of heart trouble, not kidney trouble. But you must realize that there are huge numbers of heart failure caused by kidney troubles. We have monitored quite a number of patients who were rushed to emergency hospital rooms due to heart failure. However, when doctors examined these patients, their problems were actually caused by kidney troubles. Previously, we have mentioned that kidney failure penetrate deeply without any noticeable symptoms. When we feel that something is wrong with our physical body, the kidney is usually the stage that needs dialysis. Our latest study shows that many sudden death cases are not caused by apoplexy (cerebral stroke) or heart diseases, but kidney troubles. What is happening with kidney diseases that result to sudden death? What makes sudden heart failure from kidney trouble? World medical circles were surprised to know that many cases of cerebral stroke or apoplexy, and heart failures are caused by kidney troubles. Your kidney performs by filtering the toxic substances in the blood and carrying them out to the bladder. When your kidneys no longer have enough kidney function to maintain this normally, then renal failure (renal insufficiency) occurs. Renal insufficiency is a very dangerous condition. We then understood that the huge number of patients who got stroke or heart attack was because of kidney failure. And you wonder why kidney diseases cause heart failure, and also cause hardening of the arteries that result to arteriosclerosis? Here's the answer to these heart failures. There's a small hole opening in the inner wall of the capillaries of the kidney where wastes are filtered. However, when there's an excessive amount of sugar and fat in the blood, the problem falls on this hole and gets clogged. This results to poor filtering process and will eventually lead to kidney failure. Kidney failure means dirty blood. Dirty and non-filtered blood means myocardial infarction or heart attack. In other words, when the kidney function decreases, the risk of dying from a stroke or heart attack increases. There's another factor where a reduced blood flow through the renal artery causes the kidney to release increased amounts of renin, a powerful blood pressure regulator. High renin levels will result in hypertension. The filtering process of the kidney decreases especially during high blood pressure, and vicious circle of problems may occur. There are several research studies about this and these are just some of the theories that create sudden death of heart failure. "In kidney disease, method differs in prevention and remedy." To prevent contracting kidney diseases, salt intake should be less and protein intake should be enough. Meat, milk and eggs contain a lot of protein. Also, take enough potassium-rich foods. However, if you are suffering from kidney disease, as a remedy, you must reduce taking all the above. If the function of kidney decreases, protein and potassium-rich foods should be reduced so you won't give any heavy workload to your kidney. If the kidney is no longer capable in removing the unnecessary potassium amount, then it will remain in the body and will cause heart disease. 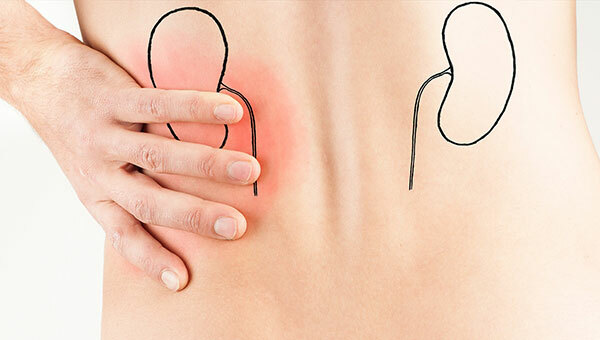 Once the kidney function deteriorates, it will be very difficult to restore its former condition. Early detection helps in preventing deterioration of the kidney function. But it is also basically difficult to detect the onset of some types of kidney disease. How to detect kidney disease early? The symptoms of glomerulonephritis may resemble other conditions and medical problems. Therefore, from these explanations, you understand that heart failure occur due to kidney troubles. Nowadays, many emergency treatments in major hospitals are "heart failure due to kidney disease" according to the information we gathered.